The Ocean Road is the scenic route between Saigon and Mui Ne. Skirting the deserted coastline for much of its length, occasionally ducking inland through cashew trees and dragon fruit plantations, over white salt flats and green rice fields, past hot springs, hilltop pagodas, and dusty villages where ox-drawn carts full of sun-dried hay linger in the heat, the Ocean Road is a destination in itself. It may be longer than the direct route on Highway 1, but the Ocean Road is a far more rewarding, scenic, and relaxing way to travel between Saigon and Mui Ne. An easy, feel-good road trip, with a good balance of off-the-beaten-track experiences and creature comforts, this is my comprehensive guide to the Ocean Road, including places to stay, eat, see, and swim along the way. Of all the roads in Vietnam, I’ve probably ridden the Ocean Road more than any other. As such, this is a long guide. But I’ve broken it down into five easy sections, so that readers can go directly to the part they’re focusing on. The total distance is only 270km, making it possible to ride the entire length in one full day. 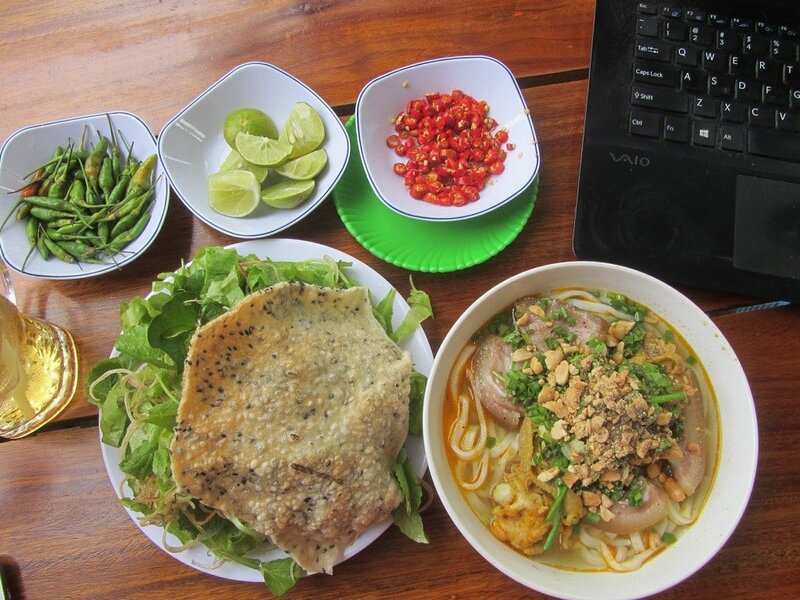 However, if you have time, there are lots of places to stop, see, stay and eat along the way: you could spend a very enjoyable week trundling up the Ocean Road from Saigon to Mui Ne. In each section, I’ve included recommendations of places to visit, things to see, food and drink, and accommodation options in all price categories. Because there are many places of interest on the Ocean Road, my map is a bit cluttered: zoom in on the relevant section to see it more clearly. Anytime of year is good for this route. The weather is driest from November to April, but the colours are best from May to October. Once in Mui Ne, there are many ways to extend this road trip: see my recommended extensions at the end of Section 5 for more details. As always, leave Saigon early: under cover of darkness, before dawn. Do this and you’ll avoid the horrors of exiting the city during the busy hours: when the crush of the crowded suburbs, the dust and smog of the industrial estates, and the trucks and exhaust of the highway can be so bleak as to dampen your mood for the rest of the day. Even though this road trip utilizes the ‘back way’ out of Saigon, it can still be pretty grim if you hit it at the wrong time of day. Ideally, aim to leave Saigon between 4:00-4:30am: any later and it’s already too late. Head east out of the city towards the docks on the Dong Nai River. 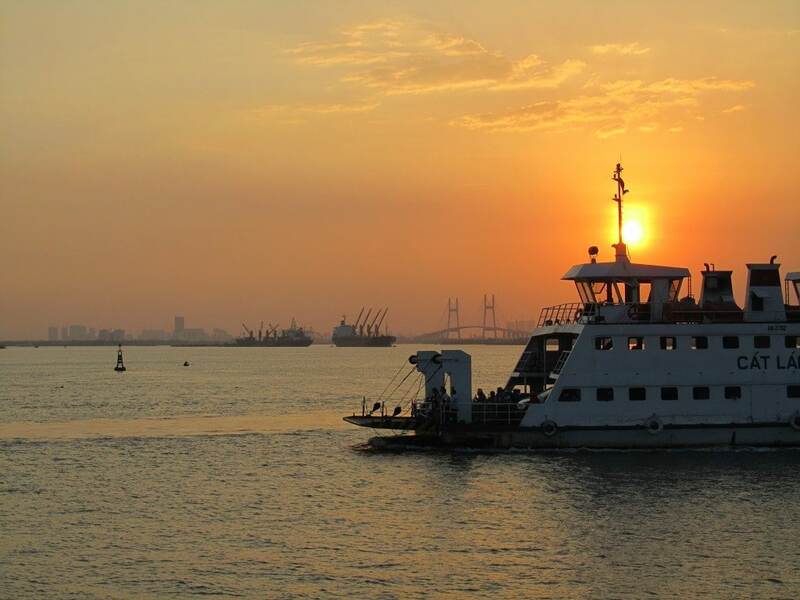 Take the Cat Lai Ferry across the wide and muddy waters, as the dawn light starts to glimmer on the horizon. (Ferries operate 24 hours a day: every 15 minutes during the daytime and every 30 minutes during the night; tickets are 3,000vnd per motorbike/person; the crossing takes 5-10 minutes.) 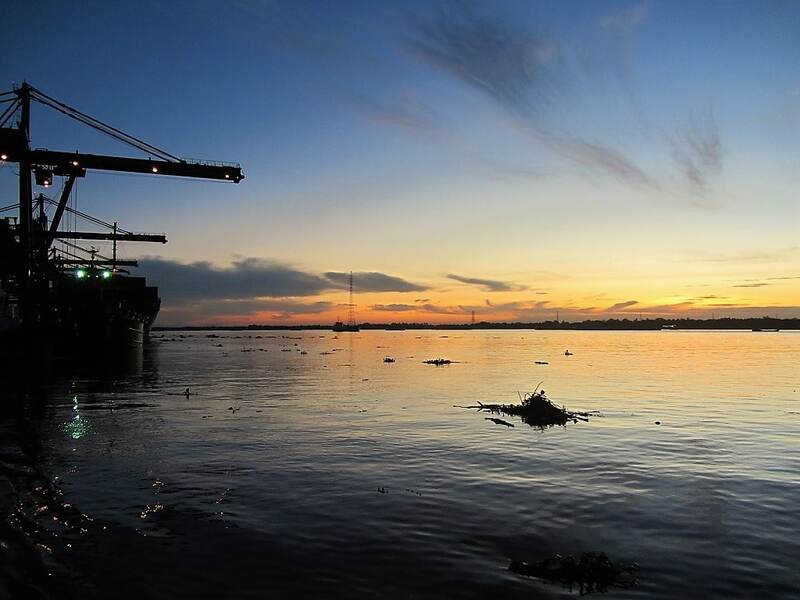 The docks are often busy with large container ships, whose cliff-like hulls dwarf the traditional wooden river barges and tugboats scuttling between them. Downriver (due west) are the silhouettes of Phu My Bridge and the high-rise apartments of Saigon. It’s a short ferry crossing, but it’s dense with interesting goings on. Once on the other side, you’re out Saigon and have arrived in Dong Nai Province. Riding east after the ferry on roads DT769 and HL13, little pockets of greenery in the form of roadside vegetation, allotments, and rubber tree plantations are a relief after the urbanity of Saigon. Hammocks swing under rubber trees where makeshift wooden shacks covered in blue tarpaulin sell fresh fruit in season: jackfruit, durian, coconut, avocado. But it’s a false dawn, because it’s not long before HL13 ploughs through the choked industrial zone of Nhon Trach, until coming to an end at Highway QL51 (also marked AH17). The ride from Saigon to Highway QL51 takes about an hour. Turn right (due south) onto the highway. Despite receiving a massive upgrade a few years ago, transforming this route into a 6-8 lane expressway, QL51 can still be a nasty ride full of trucks, dust and danger. Ride carefully and watch out for the beige-uniformed traffic police lurking by the roadside (you can usually tell where they are before you see them, because all the vehicles in front of you will suddenly pull together into one lane and slow right down). Traffic can be quite bad up until Phu My, but subsides considerably after it. 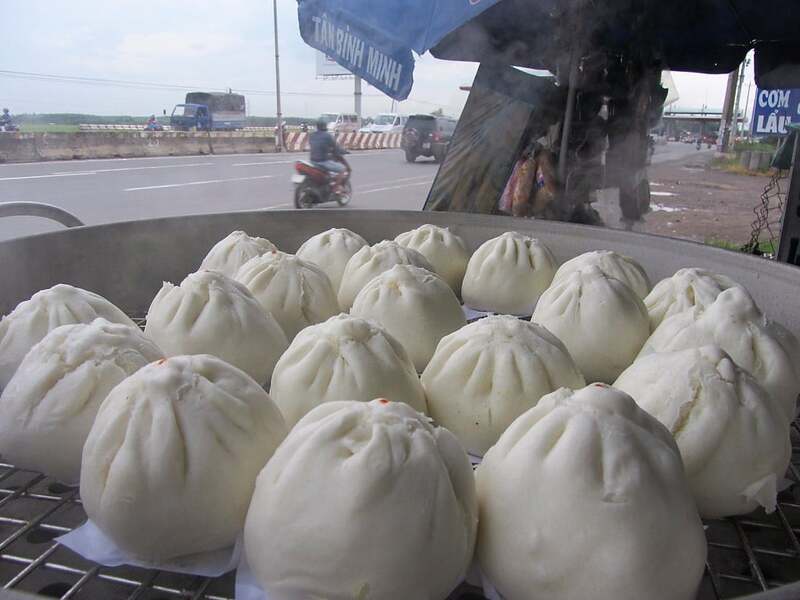 It’s only an hours’ ride on Highway QL51 to Ba Ria, but if you need a break consider stopping for a bánh bao 69 (large, fluffy, steamed rice flour dumplings filled with pork, mushrooms and quail egg). There are dozens of roadside kiosks selling them for 15,000vnd each. Bánh bao 69 got its name because this part of the highway is supposedly 69km from Saigon, and 69 is a special number in Vietnam: 6=fortune, 9=longevity. It’s not a particularly pretty ride to Ba Ria, but there are lots of grand new pagodas lining the highway and, after Phu My, green hills rise to the east. Note: For a shortcut between Highway QL51 and Ho Coc Beach/Binh Chau Hot Springs, follow the red line on my map. Also, you can skip the highway altogether by starting this road trip from Vung Tau and following the red line to join up with the Ocean Road at Long Hai. However, to do this you will need to take the fast boat from Saigon to Vung Tau and rent a motorbike there (try Ned Kelly’s Bar or Belly’s Bar), because no vehicles are permitted on the fast boat. 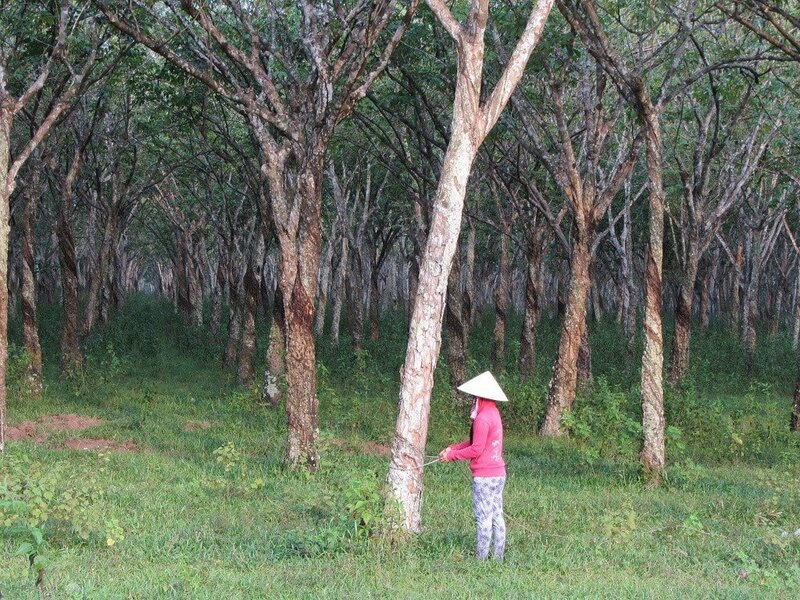 Ba Ria is an affluent-looking, very agreeable city. Its well-organized streets are laid out on a grid system and lined with flowering trees, making them shady, fragrant and attractive. Ba Ria is also a candidate for Cleanest City in Vietnam: the sidewalks and (most) of the public spaces are spotless. Like Vung Tau, the local economy is buoyed by the oil industry which, I would guess, is where the city gets its gloss. Ba Ria has everything you need for a good rest stop on the road: thriving local markets, supermarkets, motorbike garages, banks, great street food, plenty of good cheap hotels, cafes, and even some interesting architecture in the form of French colonial villas and giant, brand new religious structures, notably the city church. Dozens of nhà nghỉ (local guest houses) cluster around Le Thanh Duy Street. These are OK but cater largely to ‘courting’ couples and prostitutes (Thanh Sang Motel is the best of them: 26-28 Le Thanh Duy; 200,000vnd a night). If that’s not your cup of tea, head over to Bach Dang Street for clean, good-value rooms at Motel Le Hoa (149 Bach Dang; 0643 733 828) or Galaxy 3 Hotel (190 Bach Dang; 0643 734 567), both offering rooms from 220,000-300,000vnd. The leafy grid of back-streets between Nguyen Du and Nguyen Hue streets is filled with cafes, street food outlets and some old french villas, great for exploring in the late afternoons or early mornings. Try the hearty mì quảng noodle soup at Anh Thư Quán (6 Le Loi Street) for breakfast. For dinner, head to Cẩm Thành Hủ Tiếu (113 Bach Dang Street) for excellent wonton noodle soup (order mì hoành thánh). At night, hang with the cool kids at one of the ultra trendy milk tea bars, such as Trà Sữa MM (156 Bach Dang Street). It may not make it onto any foreign traveller’s itinerary, but I really like Ba Ria: it has plenty of small town charm and enough food, drink and markets to keep you busy for a day and a night. Road DT44A leads south from Ba Ria to Long Hai, passing scruffy salt fields on the right and green hills on the left. Long Hai is a surprisingly busy town, but it’s also, for better or for worse, the closest beach to Saigon (closer even, by road, than Vung Tau). However, the beach is not great and most of the accommodation and facilities are aimed at domestic tour groups. It can get extremely busy on weekends and public holidays as families from Saigon, desperate to escape the city for a couple of days, flock to Long Hai for a budget break. During the week it’s fairly quiet, and there’s a attractive calm, slow, breezy ambience about the place. Deck chairs and showers are available at the main Municipal Beach (10,000vnd–50,000vnd) but swimming isn’t great because the water is murky. It’s a better idea to head behind the main beach to Mộ Cô pagoda (a very scenic spot commemorating, so I’m told, a drowned female traveller some 200 years ago) and settle down on the nicer, quieter beaches there. Or pay to use the pool at either Bavico Resort (200,000vnd per day) or Doan An Duong 298 Hotel a bit further up the beach (100,000vnd). Long Hai is OK for a night if you don’t have time to go further on the Ocean Road or if you’re running out of daylight. There are dozens of nhà nghỉ (local guest houses) clustered around the main beach (the best of them are behind the big government hotels), all offering decent enough rooms for $10-$15 (try Nhà Nghỉ Nam Long [0643 867 374] or Gia Long Motel [0643 661 894]). An interesting budget option is Zenna Pool Camp, a couple of kilometres out of town. 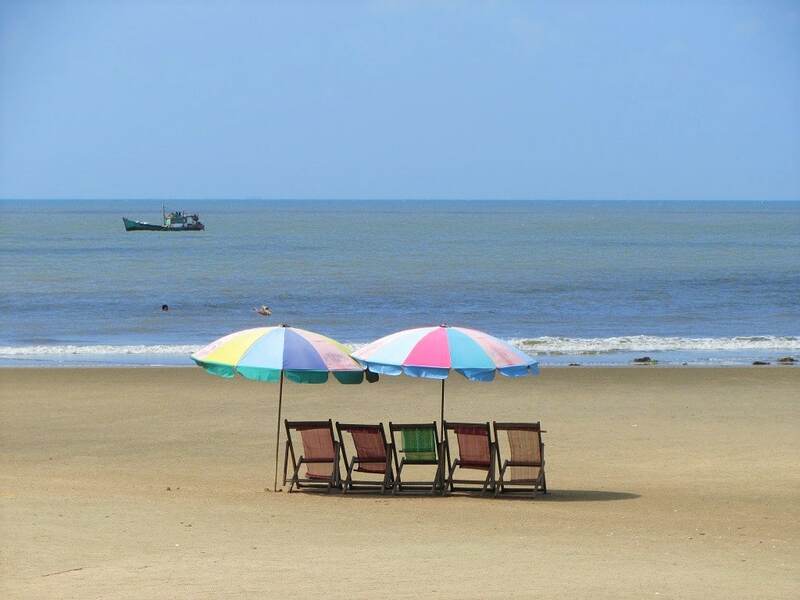 Apart from Bavico Village Resort, Long Hai’s classier resorts are located on another, nicer, beach behind the municipal one. Alma Oasis is the most impressive of these, housed in the former residence of Bao Dai, the last of Vietnam’s Nguyen Dynasty emperors. There are lots of seafood vendors, beach shacks, and restaurants on the Municipal Beach – Long Hai has a huge fishing fleet, so the fish is nice and fresh. A visit to Dinh Cô pagoda affords good sea views, and taking a ride down some of the narrow backstreets just before reaching the main beach is very interesting, revealing poor but friendly and sun-filled fishing communities eking out a living. The lanes eventually lead down to the working beach which, although covered in trash, is a fascinating place to observe all the fishing-related activities. Long Hai’s market is definitely worth a visit too, especially early in the morning. Note: If you’re not planning to stop in Long Hai you can bypass it by taking Đường 36 (see the red line), which leads behind the town before rejoining DT44A as it hits the ocean. 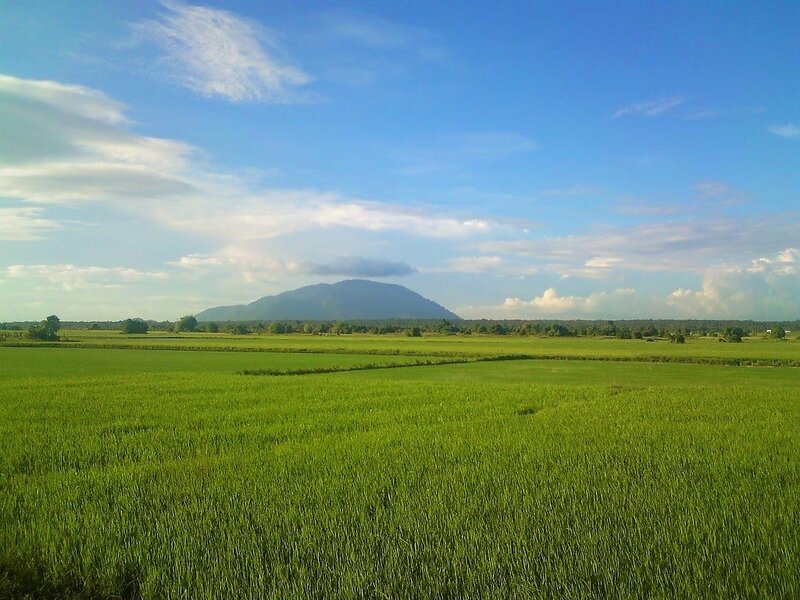 Alternatively, miss out Long Hai altogether by taking DT44B southeast from Ba Ria, through a pretty landscape of rice fields and hills, before joining the Ocean Road near Loc An (see the red line). Just out of Long Hai, road DT44A meets the ocean for the first time as it rounds a rocky cape with views out to sea and west back towards Vung Tau. This is the start of the Ocean Road proper: from here all the way to Mui Ne, and then beyond to Nha Trang, the road snakes along the coast, ducking inland on several occasions, but always returning to the sea. A salty breeze, mysterious perfumes of unseen flowers, fresh air, space, peace, quiet, and the scent of eucalyptus: this is what the Ocean Road is all about. Dripping with tropical foliage, and with green hills on one side and the East Sea on the other, the Ocean Road is in great condition as it ploughs northeast to Phuoc Hai village. 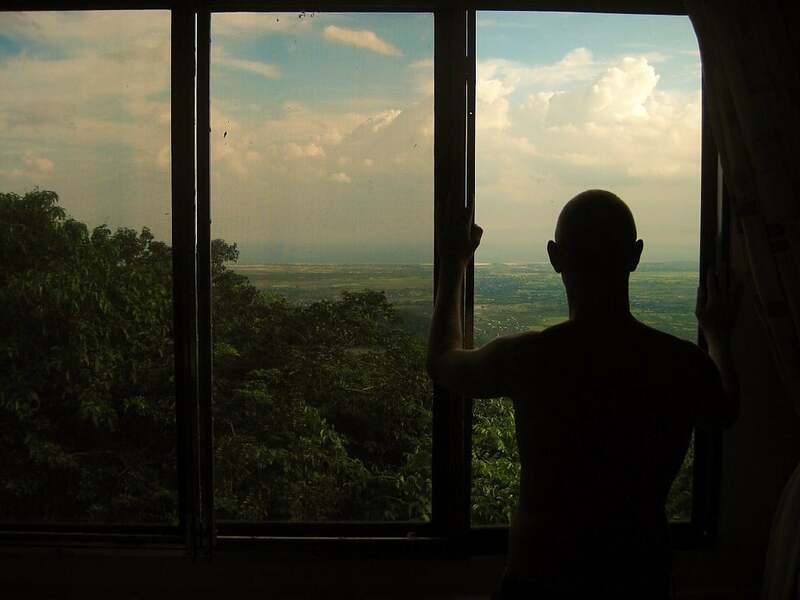 Up in the jungled hills above the road, Minh Dam Resistance Base was used, from the 1930s until the end of the wars in 1975, to fight against first the French and later the U.S, ANZAC, and South Vietnamese government troops. A pretty road leads up to the base, where there’s a museum and excellent views. 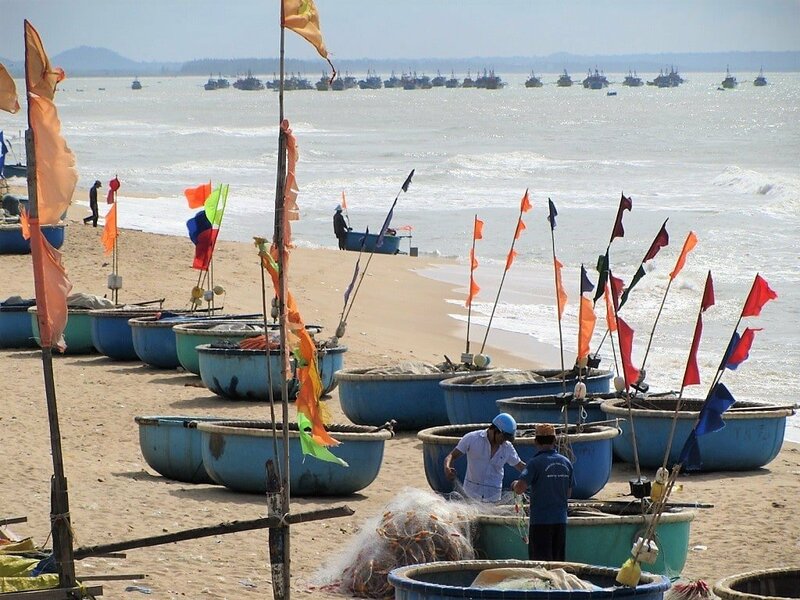 At Phuoc Hai town don’t miss the new quayside road passing along a working beach full of coracles and colourful flags, for marking fishing nets, fluttering in the sea breeze. At the Phuoc Hai intersection, the Ocean Road bears right (due east), heading a little inland past forests, rice fields, longan trees, eucalyptus, bougainvillea, flame trees, mango, banana, cashew and watermelon plantations to Loc An, and then on through mangrove forest before crossing the River Ray. This section, all the way from Long Hai, is peppered with mid-range places to stay, including Tropicana Beach, Bella Vita Hotel, and Loc An Resort, all of which have good-value rooms from $25-$60 (on weekdays) and make decent night stops. As the River Ray flows into the East Sea it creates an attractive, tree-lined sandbar, with the river on one side and the sea on the other. Accessed by a small paved road bearing right from the menacing-looking (and sounding) Vietsovpetro Resort, the sandbar makes an interesting excursion. There’s camping and accommodation at River Ray Estates and The Beach House. Bearing left at the River Ray sandbar, the the Ocean Road is wide and exposed, entering the up-and-coming beach zones of Ho Tram and Ho Coc. (Note: I’ve written this dedicated guide to Ho Tram and Ho Coc beaches which has much more detail about all the places to stay, eat and see in this area.) Even though, after the opening on The Grand Casino & Resort several years ago, this road is busier than it used to be, it’s still far from being busy. This is easy and enjoyable riding on a good, smooth road surface. Other new high-end developments have opened, or are under construction, all along Ho Tram Beach, but the best is still Ho Tram Boutique. Budget travellers can consider camping or head up the road behind Ho Tram hamlet, where a few mini-hotels are located (much more here). Whatever accommodation you’re staying in, make sure to get dinner at Mỹ Lệ seafood restaurant, where fresh and delicious shellfish, shrimp, crab and fish are cooked to order for a few dollars within metres of the beachfront. Beyond the high-rise blot of The Grand, an enchanting stand of dense forest creates a vivid backdrop to Ho Coc beach. A long curve of sand, Ho Coc is popular with Saigon youth for a quick weekend getaway, but during the week it’s almost empty. There are several places to stay on this beach, including Ven Ven (which is also a great spot for lunch). If you’re just passing through, all of the beachfront places offer bathing to outside guests for a fee, ranging from 50,000vnd for a deck chair at a beach-side shack, to 100,000vnd at the Saigon-Ho Coc Resort Four Seasons Beach (much more here). From Ho Coc, the Ocean Road continues east to Binh Chau village, skirting an arid and deserted coastline. Windswept and wild, the scenery is some of the most striking on this road trip, with large drifts of sand meeting the sea, and the air salty and invigorating. However, you’ll have to ignore the appalling trash left by the roadside and on the sand by picnickers (sadly, it’s like this along much of the length of the Ocean Road these days). 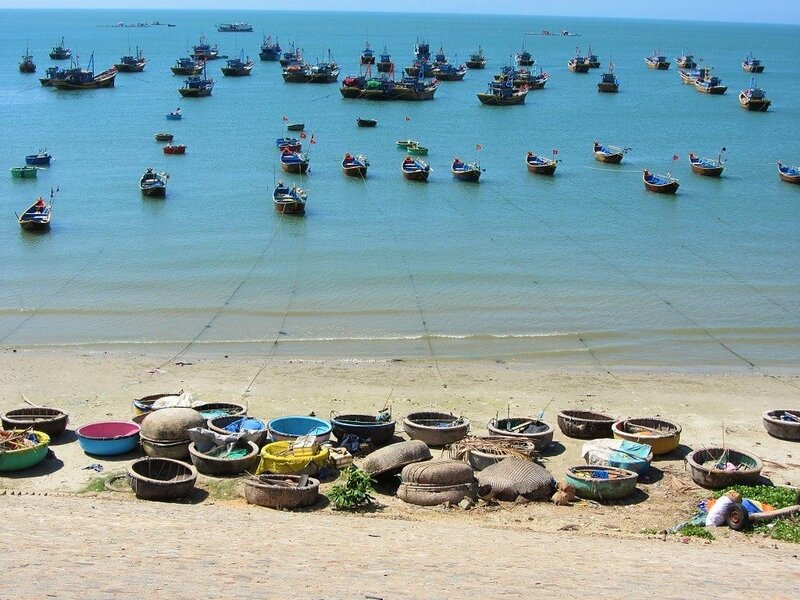 The coastal stretch ends at the dusty fishing village of Binh Chau. A couple of guest houses line the main street here (notably Hotel Dung Tao), and the food stalls around the market are good for a snack. But Binh Chau’s main attraction is the hot spring just north of town. Accessed via a paved road, the springs are heavily commercialized and practically all owned by the government-run Saigon Tourist. However, the extensive grounds are wonderfully lush, filled with exotic flowers and tropical trees, and, thanks to a recent makeover, there are lots of enjoyable hot spring-related activities and treatments on offer. Although prices have risen steadily over the years, so too has the quality and general aesthetic of the place (although there’s still plenty of ‘Vietnamese kitsch’ on display). Entrance costs a few dollars and then you have to pay extra for any of the activities: mud baths are fun but cost upwards of $10 per person; the main swimming pool, filled with water from the hot spring, is probably the best option. Try to time your visit between 11am-1pm, during which time the large family groups of domestic tourists tend to leave the pool for lunch. Binh Chau Hot Springs is also a resort: the rooms in the Binh Tam building are lovely and have their own hot spring pool; or rent a tent at the weird iRelax Bangkok Resort just down the road. If you have some time (and money) to spare then the hot springs make a good stop for a relaxing couple of hours before hitting the road again. After Binh Chau the Ocean Road joins Highway QL55, heading east towards Lagi. In recent years, this section of road sees increased traffic and is now being widened: expect some road works for the next few months at least. Leading inland through an agricultural landscape of fruit trees, crops fields, rivers, and villages, the ocean is hidden from view for much of the way behind a long, high bank of white sand. In the early mornings, lunchtimes and late afternoons, streams of school children, dressed in white and blue, pour out of the school gates and march along the roadside back to their homes. Seeing a người nước ngoại (a foreigner) on a motorbike, they all shout ‘helllo!’ and wave enthusiastically as you ride by. Some of the roadside cafe võng (hammock cafes) are worth stopping at if you want to soak up the appealing, off-the-beaten-track vibe of this area, watching buffalo wade in the flooded fields under coconut palms. The landscape becomes arid as the road climbs a hillside of powdery white sand, dotted with cashew and eucalyptus trees (beware of traffic police on this hill). Descending the hill on the other side, the sea comes into view once again, and the large fishing town of Lagi sprawls along the coast where the Dinh River empties into the East Sea. At the foot of the hill, turn right (due south) off the main road and towards the sea on Nguyen Du Street. This is the ‘back way’ into Lagi. (Alternatively, if you want to bypass Lagi altogether, continue straight on QL55 until the roundabout, then wind through smaller roads to rejoin the Ocean Road on the other side of town – see the red line.) 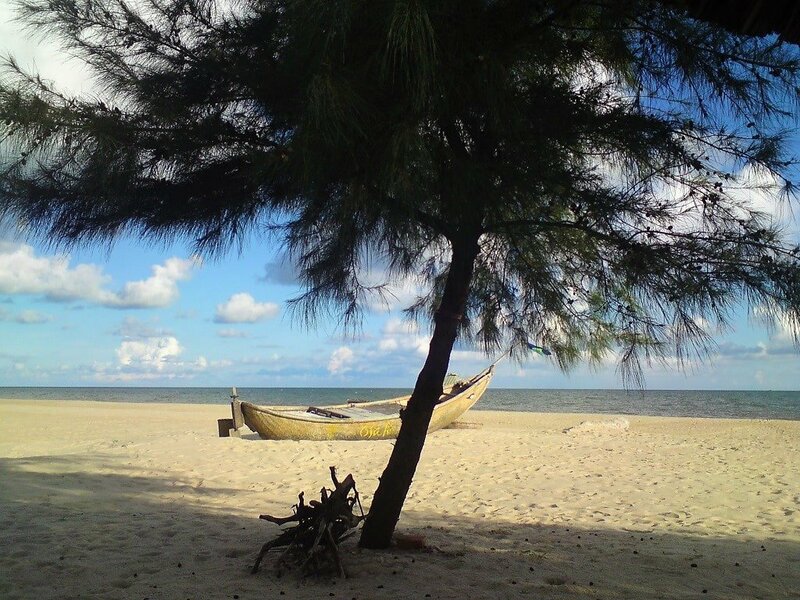 Nguyen Du leads to Cam Binh public beach, a shady, casuarina-studded bay a few kilometres south of Lagi. The beach is popular with domestic tourists and full of informal, local seafood restaurants. There are lots of cheap nhà nghỉ (local guest houses) lining the entrance to Cam Binh beach. 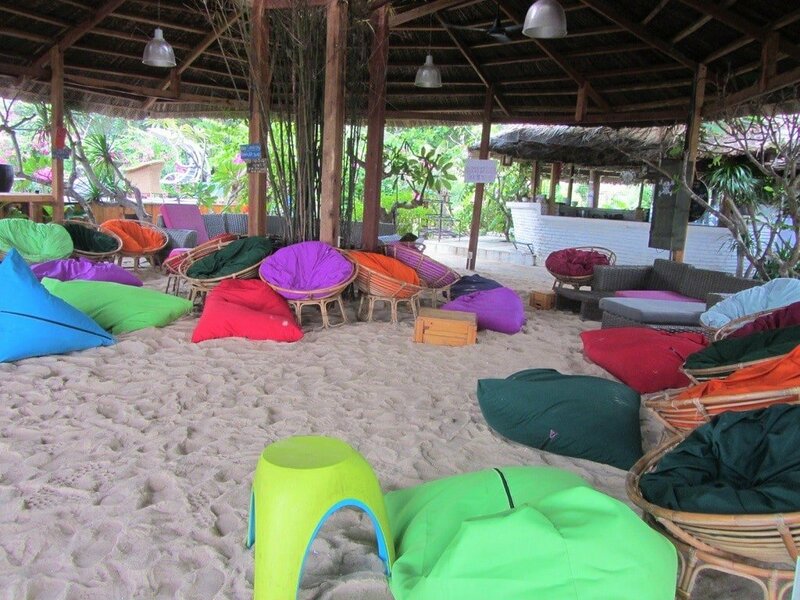 Just around the corner is the spectacularly successful beach camping and party zone, Coco Beachcamp. Even if you’re not planning to stay here, stop in for a beach-side cocktail. From here, Le Minh Cong Street heads up the coast and into Lagi proper. Turn right at the church and left past the main fishing port and along Le Loi high street. Lagi is a busy, bustling, noisy place with an impressive fleet of wooden fishing boats, a few good accommodation options, good street food, an interesting market, and a decent beach. It’s a natural night stop between Saigon and Mui Ne, and has the makings of a beach destination in its own right. I’ve always liked it here. Stay in town at Quoc Bao Hotel (151B Le Loi Street; 0623 843 862; 200,000vnd a night) or Ba That Hotel (25 Thong Nhat Street; $25) or, for more peaceful surrounds, head out of town to the beach at Ba That Resort ($30) or Hotel Ngoc Anh (200,000vnd). For dinner, go for delicious bánh xèo on an alleyway off Le Loi Street, where three generations have been cooking these little sizzling savoury pancakes. For breakfast, head to the recently relocated Minh Ky (361 Nguyen Truong To Street) for one of the best bánh mì bò kho (Vietnamese beef stew and baguette) I’ve ever had. Head northeast out of Lagi on a new stretch of road which eventually links up with DT709 at Dat Lanh Resort. The riding is good but be careful of traffic police who like to patrol this road. After meeting the main road, there’s a large car park on the left. This is the entrance to Dinh Thầy Thím, a famous local temple dating from the late 19th century. There seem to be many ambiguous versions of local myths explaining the reason for the temple and tombs here, and thousands of pilgrims visit each year during a festival held in the 9th lunar month (September/October). It’s an interesting detour if you have time (the temple is actually located along a road behind the carpark). The beach opposite the car park is quite pretty and there are plenty of local places to eat. Mom Da Chim Resort is a good place to stay on a lovely spit of land. For cheaper digs there are several nhà nghỉ guest houses scattered around the car park area (try Nhà Nghỉ My My; 200,000vnd). Stay on DT709 to Tan Hai village, then turn right down a hidden dirt road (soon to be paved), signposted Le Quy Don, for a shortcut over a metal suspension bridge, through dragon fruit plantations and out the other side to join road DT719 heading east. Note: alternatively, make a side trip by riding north from Tan Hai to Ta Cu Mountain (see the red line). A cable car (100,000vnd return) ferries visitors up to a viewing platform with stupendous vistas down over the Ocean Road. Climb the steep steps to a monastery dating from the 19th century, a huge new pagoda complex, and the largest reclining Buddha in Vietnam. A few stark but clean rooms are available to stay the night on the mountain (400,000vnd; inquire at the ticket office on the mountain). This is a good option because, during the day, the mountain can become very crowded with tourists. After the shortcut, the Ocean Road suffers from potholes as it crosses flooded salt flats and rice fields with Ta Cu Mountain looming to the north. This is dragon fruit country and you’ll see the spiky, cactus-like plants growing everywhere – its splayed, thick branches always remind me of Sideshow Bob’s hairstyle, from The Simpsons. 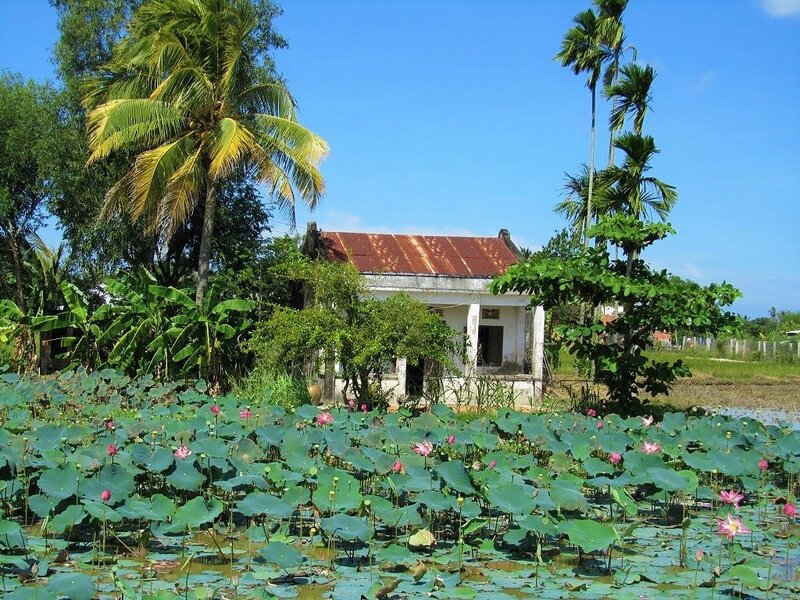 A fantastic, and very unlikely, budget place to stay in this quiet corner of rural Vietnam is Lara Homestay (run by the same people as Coco Beachcamp). It’s excellent for budget travellers who want to get off the beaten path. Take a right off DT719 to join a wide new road parallel to the coast. Built to facilitate resort construction, this road is largely deserted because the resorts haven’t arrived yet, with the exception of the sleek and elegant Princess D’Annam. Rejoin DT719 as it enters Ke Ga hamlet, famous for its lighthouse. Built on a rocky crag just offshore under the colonial French in 1899, Ke Ga is said to be the oldest lighthouse in Vietnam. The tiny, dusty settlement of Ke Ga sits on a beautiful beach and has become a popular stop for Vietnamese roadtrippers (phượt). It’s a scenic bit of coastline and the best way to see it is by hiring a boat to take you across to the lighthouse, which can be climbed via a spiral staircase, offering superb views up and down the coast. Many places in Ke Ga offer this service: I recommend the Song Bien Cafe (150,000vnd for 1-3 people; 50,000vnd more for each extra passenger) – the cafe is also a good place to sit and enjoy views of the pretty bay. Lu Glamping, recently opened on Ke Ga beach, offers camping under canvas or sleeping in a converted shipping container. The brand new Bien Da Vang Tourist Zone (090 1738 239) has really opened up the Ke Ga Cape, finally exploiting the area’s potential. However, it’s a sprawling, hastily-assembled complex of bungalows, huts, restaurants, cafes, and activity rooms. You can stay the night here in a room or camp (150,000-800,000vnd tents/rooms), which includes free transport over to the lighthouse. It’s a worthwhile night-stop for budget travellers, but not an attractive use of the area. 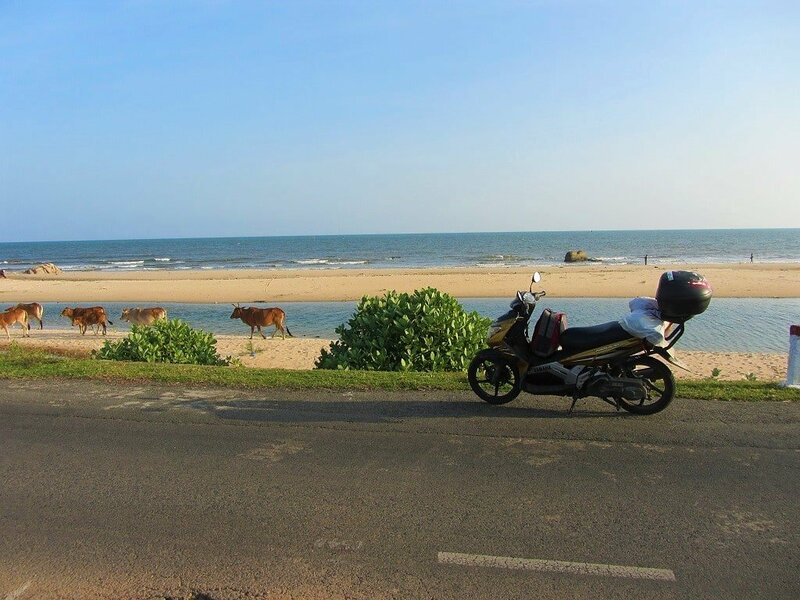 From Ke Ga, the Ocean Road turns north around the cape and towards Phan Thiet. 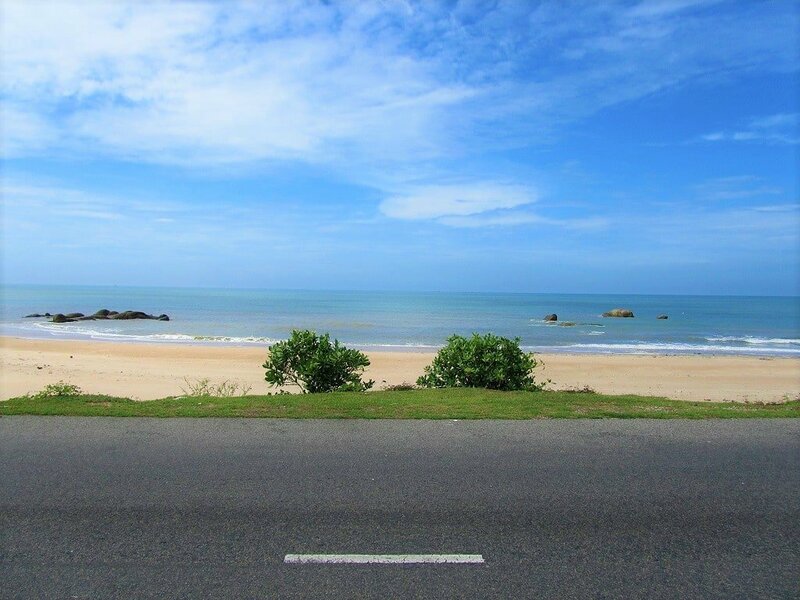 A wide and windy section of coast road skirting kilometres of inviting beach, there are resorts scattered all along this road at regular intervals. A popular mid-range choice is Rock Water Bay, where the rooms are draped in bougainvillea and the sea often crashes over the rocks and into the resort’s swimming pool. A good cheaper option is Anh Duong Resort (500,000vnd; www.anhduongresort.com). Depending on the wind and weather, the sea can be brilliantly blue and calm, or rather grey and rough. There are a few good spots for wild swimming on deserted sections of beach, but be careful of submerged boulders. A dozen or so informal open-air restaurants and cafes line the road, making good rest stops. This is one of the prettiest sections of the Ocean Road. Unfortunately, once again, you’ll have to ignore the litter left by picnickers by the roadside and on the beaches: god help Vietnam’s countryside if the current attitude to personal litter doesn’t change soon. 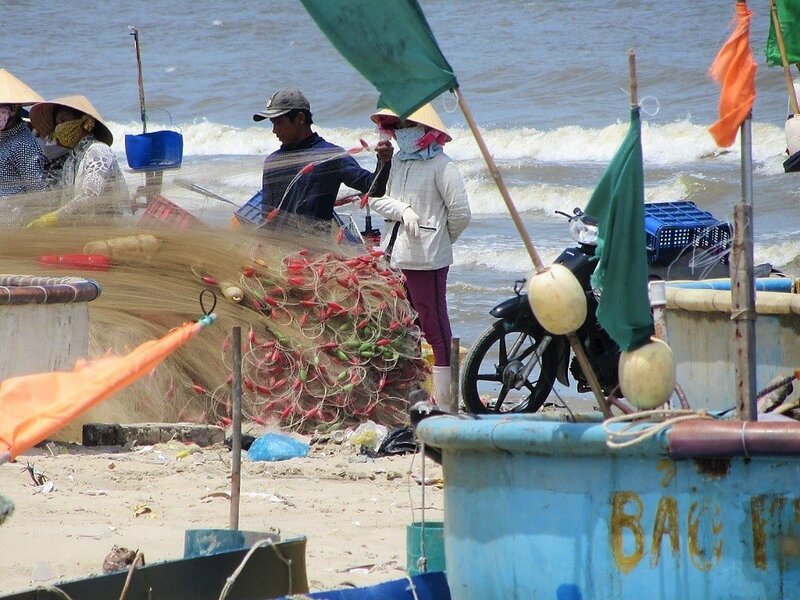 The last 20km to Phan Thiet is a pleasant and easy ride along the coast, passing through the sun-drenched fishing hamlet of Tien Thanh, backed by lush hills and cliffs of red sand. There’s not much budget accommodation along this stretch, but Orchid Boutique is good value for flashpackers, and Green Organic Villas is a gorgeous place to stay for a (relatively reasonable) treat. After this, the road turns inland, making a steep ascent up Cambodia Slope (I’ve no idea how this hill got its name) and down into Phan Thiet City, which fills the wide plain between the East Sea and the foothills of the Truong Son Mountains to the west. 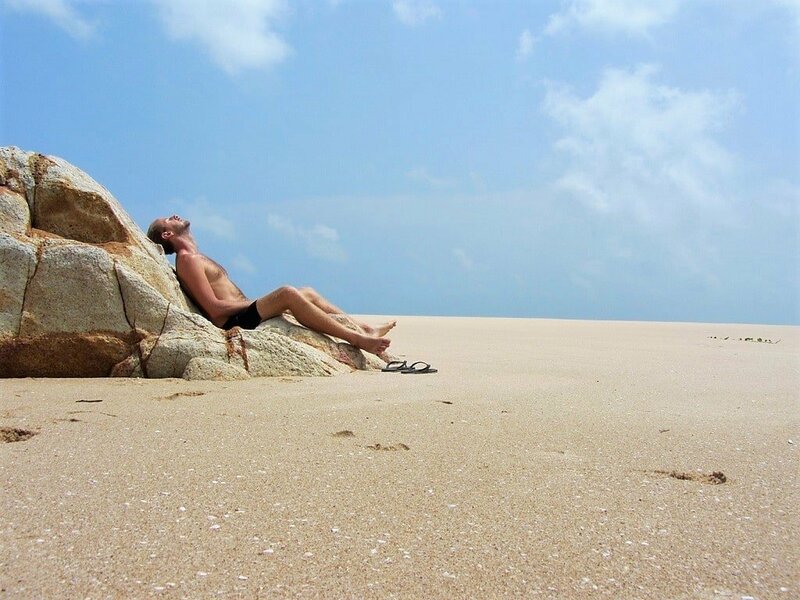 Phan Thiet is shunned by the majority of travellers in favour of the resorts and long, arcing beach of Mui Ne, just 10 minutes ride east of the city. But I love Phan Thiet. In fact, I prefer it to Mui Ne. 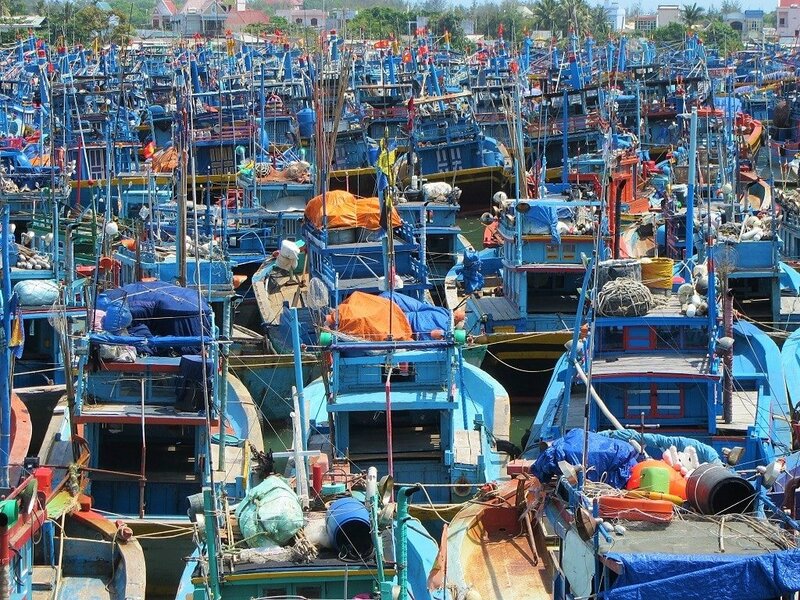 A bustling, prospering fishing town with a huge fleet of blue wooden fishing boats, Phan Thiet is a ‘real’ town, whereas Mui Ne is a tourist enclave with very little local life left. 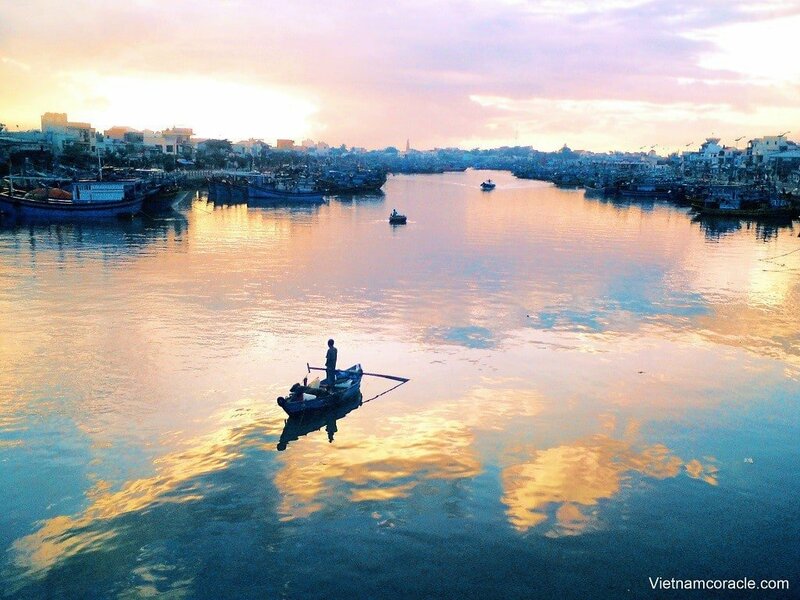 Phan Thiet has some of the best seafood I’ve eaten in Vietnam: try it at Thuan Phat restaurant on the banks of the Ca Ty River, which slides through town, providing shelter for hundreds of fishing boats, before emptying in the East Sea. The city has a large, clean and interesting market, and a lively street food scene, including delicious local specialities: try the fresh spring rolls (chả cuốn) filled with grilled pork, herbs and duck egg at Dung Cha Cuon (104 Vo Thi Sau Street), or track down a plate of bánh căn (little spongy savoury pancakes dipped in a tangy fish sauce) on Ton Duc Thang Street. There are loads of cheap guest houses (nhà nghỉ) around town, including Hoa Binh 2 (139 Le Loi Street; 200,000vnd) and Hong Hoa (165 Le Loi Street; 150,000vnd) near the beach. Great value mid-range accommodation can be found at the Ocean Dunes, and Doi Duong Hotel is pretty decent for the price too. The city’s Municipal Beach is looking very attractive these days, as is the riverfront promenade (Pham Van Dong Street) by all the fishing boats. 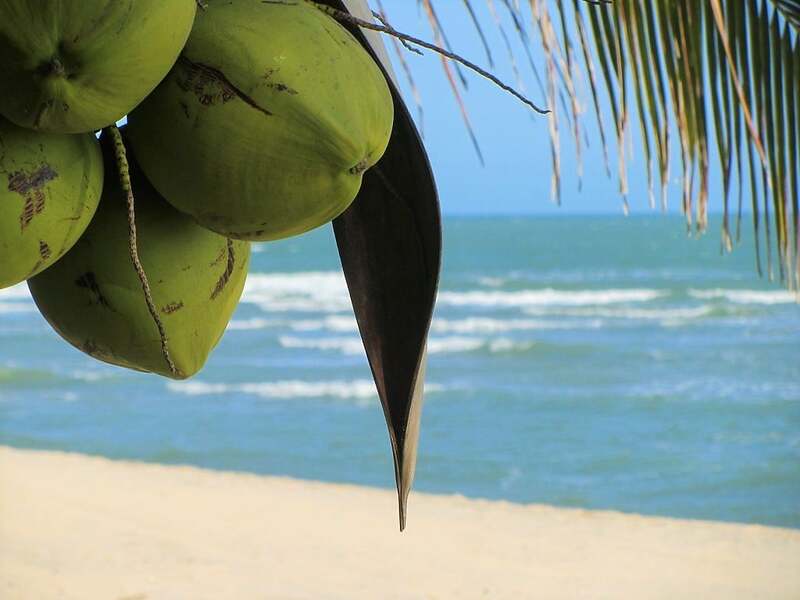 So stay a night in Phan Thiet before heading to the creature comforts of Mui Ne. It’s only a short ride out of Phan Thiet, up and over a hill where the Po Shanu Cham towers still stand, and down into the famous bay of Mui Ne, whose glistening waters and palm-fringed beach spawned a thousand resorts along its 15km seafront. However, the beach is eroding and, although development has been generally low-rise, the entire bay is mostly given over to tourism: accommodation on the ocean side of the road; food and drink on the other. One of the ‘Western comforts’ I like to enjoy here is an excellent kebab at Sindbad’s (233 Nguyen Dinh Chieu Street). For what’s left of local life, head to the market in Mui Ne town at the end of the bay, or partake in lẩu dê (goat hotpot), a local speciality, in one of the restaurants near the village of Ham Tien on the seafront road. For budget digs, I’ve always enjoyed Hong Di (70 Nguyen Dinh Chieu Street; $10-$20) or Hiep Hoa; my pick of the mid-range options is Bao Quynh Bungalows; and the sprawling tropical gardens of Victoria Resort & Spa and Cham Villas are excellent high-end places to stay. 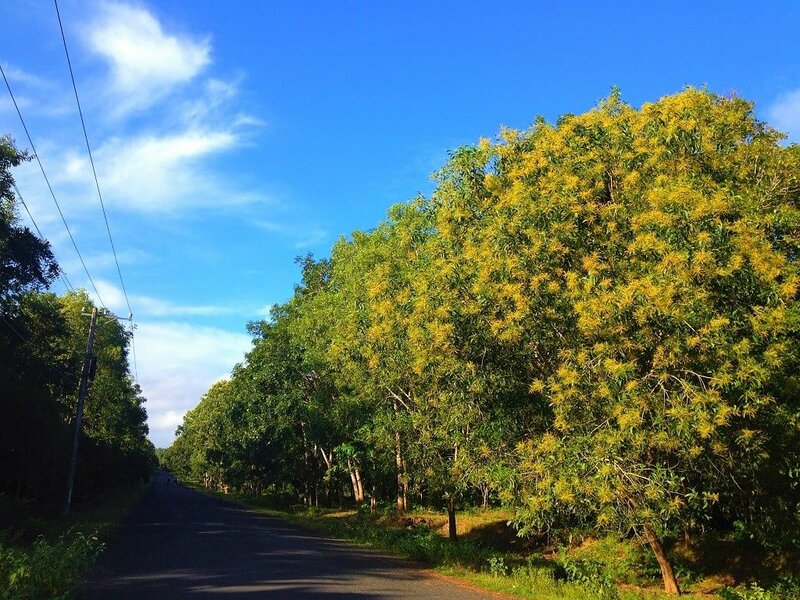 Extending your Road Trip: From Mui Ne, there are many great options for continuing your road trip. The most obvious is to stay on the Ocean Road as it heads northeast up the coast; linking the Sand Dune Highway, the Dragons’ Graveyard, and the Nui Chua Coast Road all the way to Nha Trang. 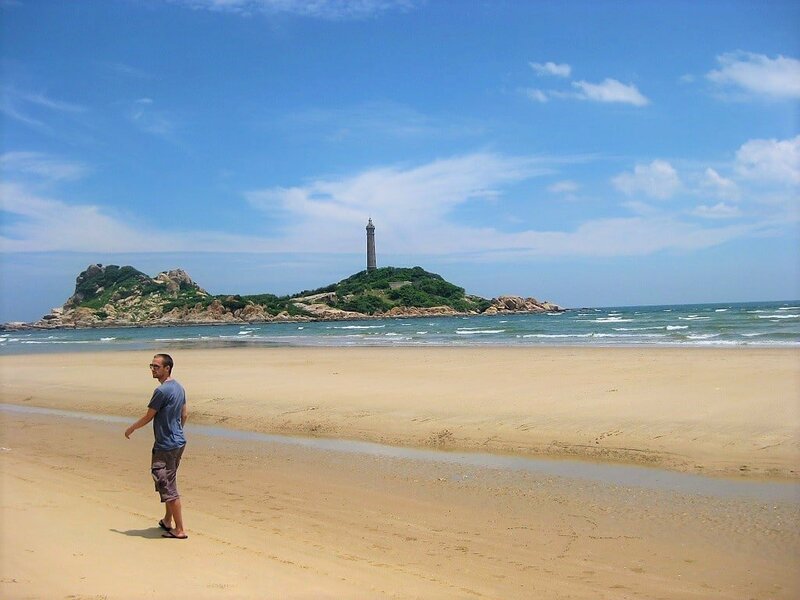 Alternatively, you could head inland and off the beaten path by taking the Binh Thuan Back-Roads Loop. Or head up to Dalat on QL28 or QL28B, stopping at the Banyan Tree Cafe or Juliet’s Villa, and taking in some waterfalls on the way. Or simply put your bike on the express train from Phan Thiet back to Saigon. 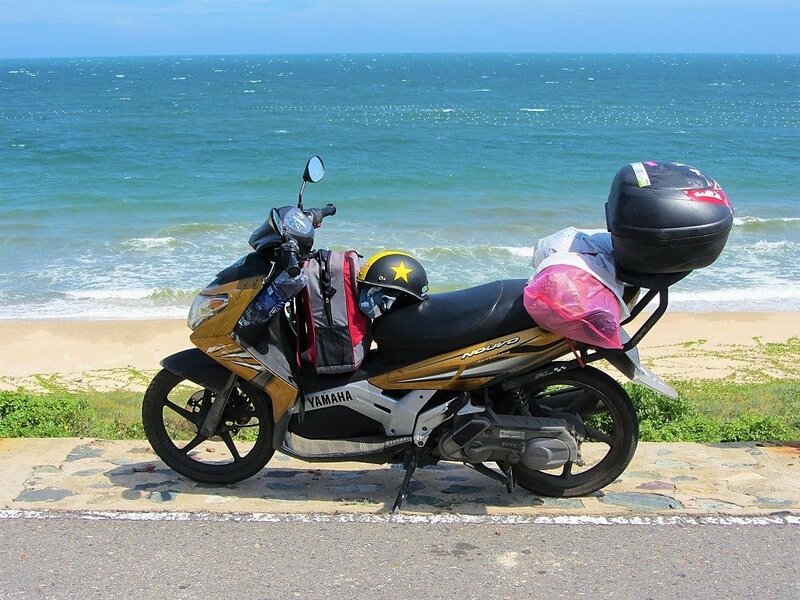 This entry was posted in ALL, Coastal, MOTORBIKE GUIDES, The South and tagged guide, Ho Chi Minh City, motorbike, Mui Ne, phan thiet, route, Saigon. Bookmark the permalink. How safe is it for a single woman? Do you have any recommendation for bike rental shop? and do I need any Protection equipment for riding? Yes, it’s safe for a solo female to travel this route – just take all the normal precautions you would when travelling anywhere else and you should be fine. For bike rental, take a look at the places I recommend on this page. Yes, you need a helmet for riding in Vietnam – your rental bike will come with a choice of helmets. I went to Muine many times but when reading your post I was quite surprised, there are many places I totally do not know. 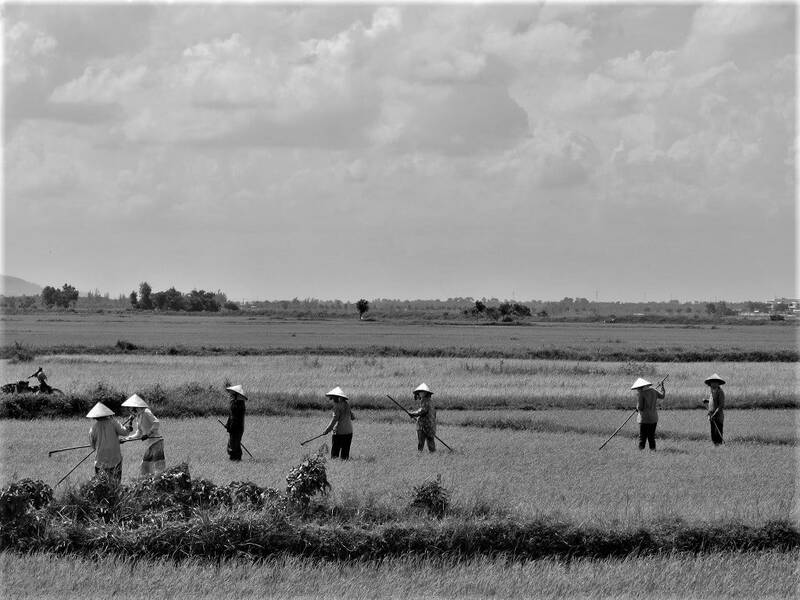 I really appreciate what you wrote about Vietnam travel. Thank you, I’m glad you enjoyed the guide. Great guide Tom. Will be doing the opposite direction but not looking forward to HCMC traffic. Reading your guide it sounds like it makes sense to stay overnight in Ba Ria and leave really early for HCMC. Any idea what time one would have to leave to avoid the worst of HCMC? Also, I keep reading a lot about the Mui Ne scam and was wondering if they cops leave you alone if you show them an international drivers license? I read somewhere that Vietnam accepts them now too. Do you know anything about that? To really avoid the traffic on that last stretch into Saigon from Ba Ria you’d need to leave before 5am – preferably 4.30. Another option is to leave after 7.30pm, or lunchtime (between 11.30-2pm). But really you’ve just got to grit your teeth and bear it for a couple of hours. To avoid the Mui Ne police, take a look at the first few paragraphs of this guide. It doesn’t really matter what papers you have – the police will usually find something else to charge you with anyway. Thanks for your reply. How about those police hotspots on the map above? Are those something to worry about or do they usually leave tourists alone? They’re nothing like as bad as the one near Mui Ne. But if you do get stopped the standard ‘fine’ is 200-300,000vnd. What are the prevailing winds like along the coastal road? I’m plotting a bicycle trip route, and am having trouble figuring out whether this is truly as magical a route as it looks like, or whether I’ll be fighting headwinds if I ride north up the coast from Vung Tau before cutting inland at Nui Chua or Cam Ranh. Well, I think it’d be a nice route to ride by bicycle, partly because it’s a scenic route and partly because it avoids main roads so there’s not too much traffic. However, it’s very difficult to judge because I’m so used to riding it by motorbike. For example, I’m sure there are some relatively boring sections which only take 10 minutes by motorbike but by bicycle would be much longer. The winds change a lot on this route depending on time of year. In theory, the prevailing winds anywhere south of Nha Trang from November to April should be from the northeast, and after May from the southwest, but in reality I find it much more variable. It certainly would be hard work if you had a head wind on a bicycle. By even so, this route is still a lot ‘easier’ than going inland via the mountains. I am a cyclist and am currently living in Mui Ne. It can be pretty windy for sections on the coast round here and there are certainly parts that will be into. a bit of a headwind but I don’t suspect it would be too bad. Between the Ocean Road and the Golden Loop I’d recommend continuing along the coast, at least up to Nha Trang: first on the Sand Dune Highway, then Dragon’s Graveyard, then the Nui Chua Coast Road. 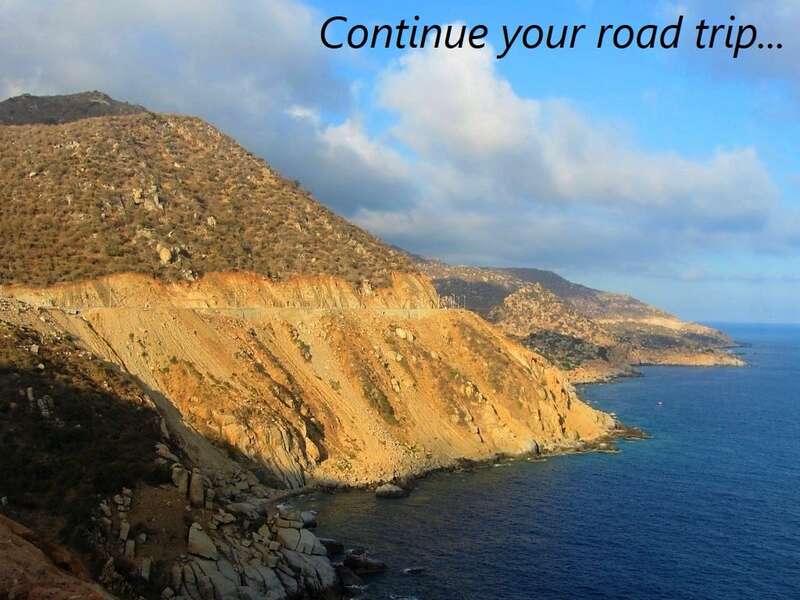 These are great, scenic roads and the weather should be OK at that time of year. Once you get north of Danang the weather might get colder and grayer at that time, so maybe it’s best to ride from north to south. Hi there! In Mui Ne currently and encountered the trap after taking the back roads ourselves! Now heading to Da Lat 500k poorer (for two people), but still need to make it out of Mui Ne proper. Any advice to get out of town without using DT 716, even back tracking west and then north? Thank you, and thanks for the great site! Out of Mui Ne you can take the back road marked in red on the map from this guide. Or you can take QL28 from Phan Thiet up to Di Linh and Dalat rather than taking QL28B. or just leave early in the morning. I am living in Mui Ne and if I want to go north to Phan Rang on the coast road, I leave at 6am before the police get into position! 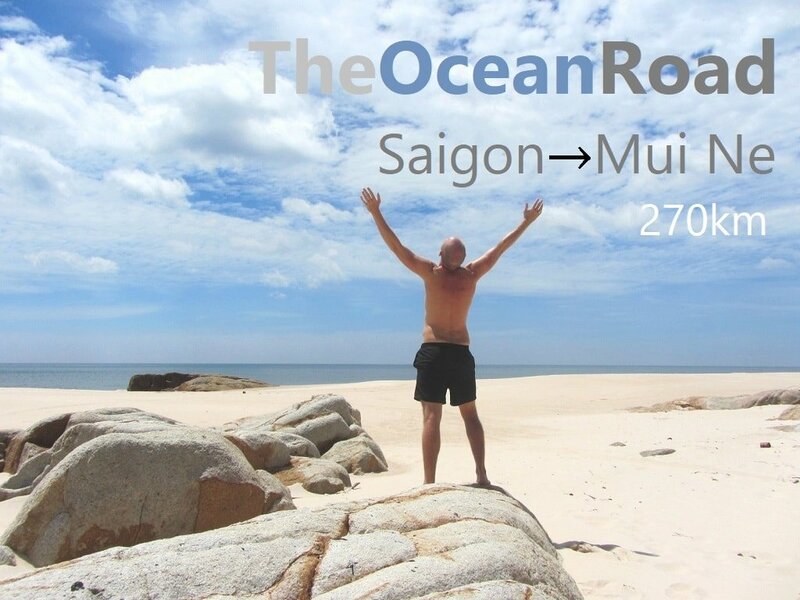 The Ocean Road: Saigon to Mui Ne does the end of this route avoid the Mui Ne trap? We are continuing onto Nha Trang. Any advice on how to deal with police if you do get stopped? Thank you for the fantastic blog, extremely helpful. To avoid the police you can follow the alternative route in this guide – it’s always worked for me, but a couple of readers have said that the police sometimes take a position further up the road closer to the White Dunes, in which case you can’t avoid them unless you take Highway 1 to Phan Ri Cua or head up to the mountains on QL28 or 28B and back down to Nha Trang from Dalat.